Samsung Philippines unveiled the Galaxy A70, features large infinity display, enhanced triple camera, juicier battery, and more. Samsung intros the Galaxy A70, one of the latest smartphones in the highly popular Galaxy A series, in the Philippines. The Samsung Galaxy A70 is built with the Korean Giant's latest innovations and upgraded essential features. It features a stylish design, large infinity display, enhanced triple camera, powerful battery, and seamless connectivity. 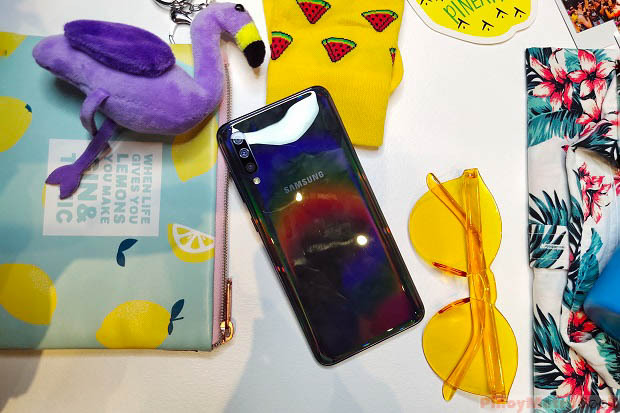 The Galaxy A70 features a stylish prism effect that reveals stunning gradient colors depending on light direction and reflections. It is available in three distinctive colors blue, black, white. The Galaxy A70’s enhanced triple camera consists of 32MP (f/1.9) main sensor, 8MP (f/2.2) ultrawide lens, and a 5MP (f/2.2) depth sensor. The depth lens enables you to adjust the depth of field to focus before and after taking a shot, so you can choose what and where you want to highlight. Combined with the 8MP Ultra Wide Lens, you can enjoy expansive photos that mirror the same viewing angle as the human eye. On front, there's also a 32MP super high-resolution camera. With these enhanced combination, you can take bright sharp shots that never sacrifice on image quality no matter where you are, or what time of day. The Galaxy A70 comes with a powerful 4500 mAh battery, giving you the freedom and convenience to share, stream, and play all day. With Super-Fast Charging at 25W, you can be back in the action faster when you need a battery boost. Galaxy A70 features Samsung’s One UI platform to encourage productivity and focus. Designed to improve the Samsung’s Galaxy user experience, One UI enables convenient and smarter interaction including One Handed Navigation, making interactions easier by bringing the controls within one-handed reach. To make the experience more comfortable, consumers can enable One UI’s Night Mode to switch the display to evening time viewing and get more control over screen time with the Galaxy A70’s App Timer that gives visibility over your screen usage levels. Additionally, the Galaxy A70 includes Samsung Health, Bixby, and more. 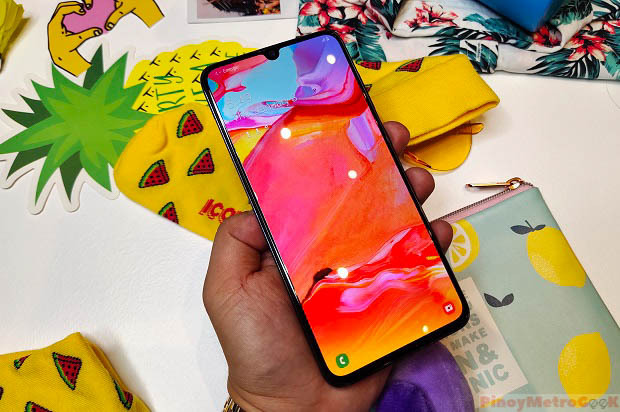 As of this writing, Samsung Philippines is yet to announce the price and availability of the Samsung Galaxy A70. Stay tuned for more updates!